The Ocean is one of our environmental �sinks�, absorbing pollution, processing and sometimes storing it. With the onset of the Anthropocene we are exceeding the capacity of the ocean to act as a sink. 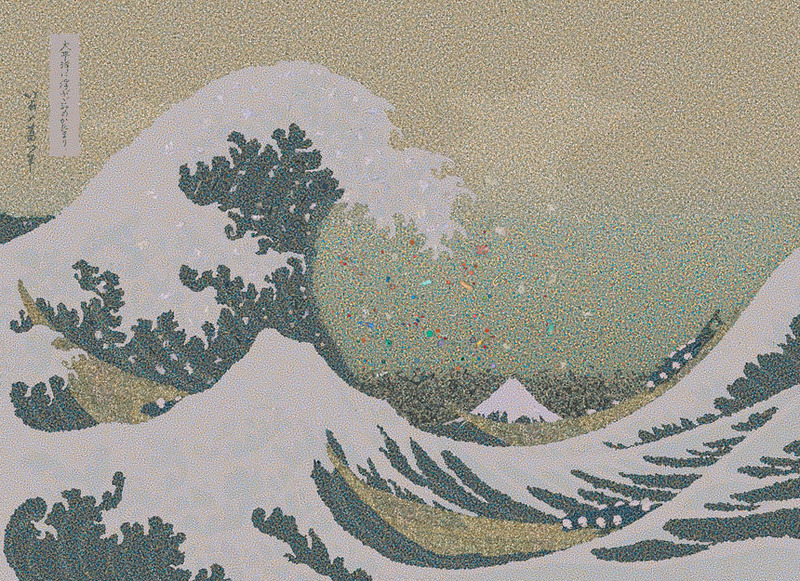 Carbon dioxide pollution is causing the ocean to acidify, plastic waste is forming new continents � like the Pacific gyre � and unsustainable fishing practices are threatening species survival and reducing reefs to rubble. Artists are responding in unique ways, employing ocean worn plastics as materials, creating man-made reefs that resemble underwater museums and exploring new forms of communication between humans and ocean-dwelling creatures in the hopes a new-found empathy might change the tide. This touching, award-winning theatrical performance Alvin Sputnik, Deep Sea Explorer reveals the human condition at the end of the world when seas have risen to overtake most of humanity. 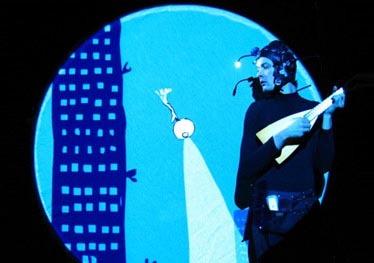 Using a masterful combination of animation, puppetry and song, artist Tim Watts charts the adventures of an average guy sent to the bottom of the sea to find another version of Earth hidden in the Earth’s core. Humorous, but ultimately damning, the performance is a warning tale for adults and children alike of what we stand to lose if we continue to bury our heads in the sand. The Silent Evolution is a permanent underwater installation of 400 life-size sculptures off the coast of Cancun, Mexico. 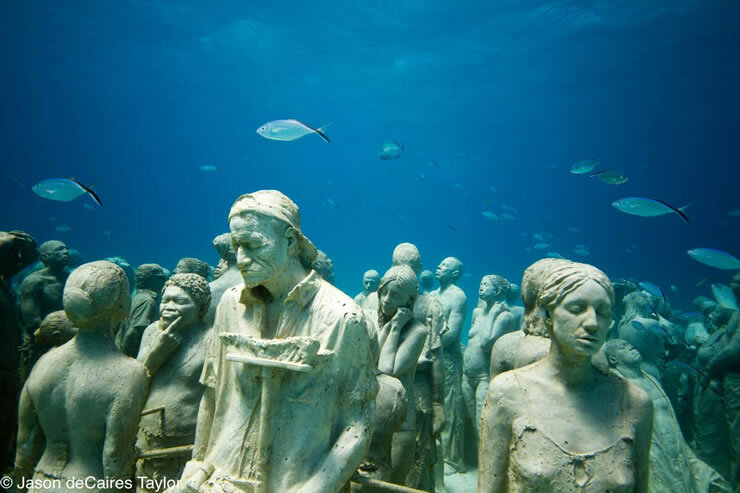 Artist Jason de Caires Taylor�s work is both functional and poetic – the sculptures, taken from casts of people of all walks of life, also function as artificial reefs thereby contributing to the restoration of the environment. 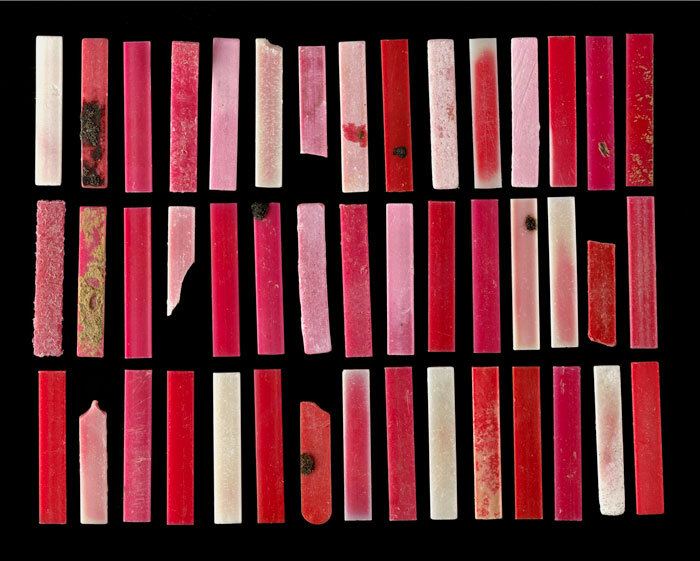 With reef systems set to disappear with the advent of climate change, these works present an optimistic and thoughtful response. Visitors to the installation can swim between the sculptures and experience the unique play of light and perspective that come from an underwater setting. Over time the work will change with the ocean environment in a silent evolution of materials responding to natural forces. Ken Yonetani is a Japanese artist resident in Australia. He explores themes of fragility and consumerism in the context of climate change. Recent works have focussed on the Great Barrier Reef, including an installation that showed at the 53rd Venice biennale, where models served cake at 1pm every day, cake in the form of coral. The pollution of the Great Barrier Reef by sugar cane plantations is only one connection made explicit in this provoking and beautiful installation, all made of sugar. 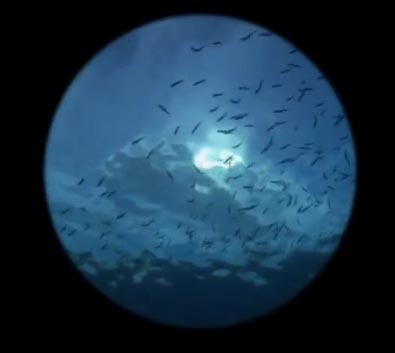 Rekindling venus is an augmented reality project that uses digital platforms – the web, the smart phone – to connect us to the world’s coral reefs and their plight in a changing climate, drawing on real-time data, video and imagery. It is the work of Australian installation artist Lynette Walworth, who has collaborated with marine biologists, climate change modellers, underwater cinematographers and meteorologists, to bring focus to the complexity of coral ecosystems as they attempt to deal with increasing environmental stresses. The work will have a second phase in 2012 to show at planetariums around the world.